Trash cans cleaned, sanitized and deodorized as a one time process. Please select the number of cans you would like to have cleaned. 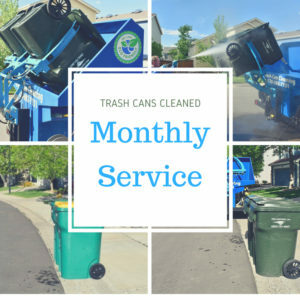 Trash cans cleaned, sanitized and deodorized as a one time process.